How to Add Titles and Subtitles to Videos with Corel VideoStudio X10? A lot of inexperienced film and video makers don't think about titles and subtitles when they approach a new project, when in fact they should because opening credits skillfully crafted can set the tone of the entire video or a movie. The title of the film and all the essential information about the visual product must be contained within the opening credits, which is why creating them is an art in itself. Furthermore, adding subtitles to videos and movies will make them more accessible to foreign viewers and markets or to the people with hearing impairment, and creating them should be on the list of the post-production steps of each film that aims at international recognition. The process of creating the opening and end credits is not complicated, but it requires time and dedication since adding text to images demands precision and a meticulous approach in order to make sure that no mistakes were made. In this article, we will show you how to add titles and subtitles with Corel VideoStudio X10, but we will also provide you with an alternative solution that is much faster and easier. How to Add Titles to Videos With Corel VideoStudio X10? After you completed the rough-cuts, color grading and other demanding post-production processes it is time to add opening and end credits as well as subtitles for videos and films created for international markets. There are a several different ways in which you can add titles and subtitles in Corel VideoStudio. Before you dive in deeper into the process of adding text to your project, make sure that the editor's preview window features a 'Title Safe' area, a yellow rectangle that guarantees your text is always within the borders of the frame. Head over to the 'Settings' menu and select 'Preferences', then click on the 'Display title safe area on the Preview window' feature from the 'General' tab. Once you have completed this step you can click on the 'Title' button and proceed to select the preset title you'd like to use in your project. The 'Title Library' contains presets as well as common titles that can be added to your project by simply dragging them onto the timeline. If, however, you'd like to create the titles by yourself double-click on the 'Textbox' on the 'Preview window' and insert the text you want to appear in your video, and then click outside of the 'Textbox' to complete the action. 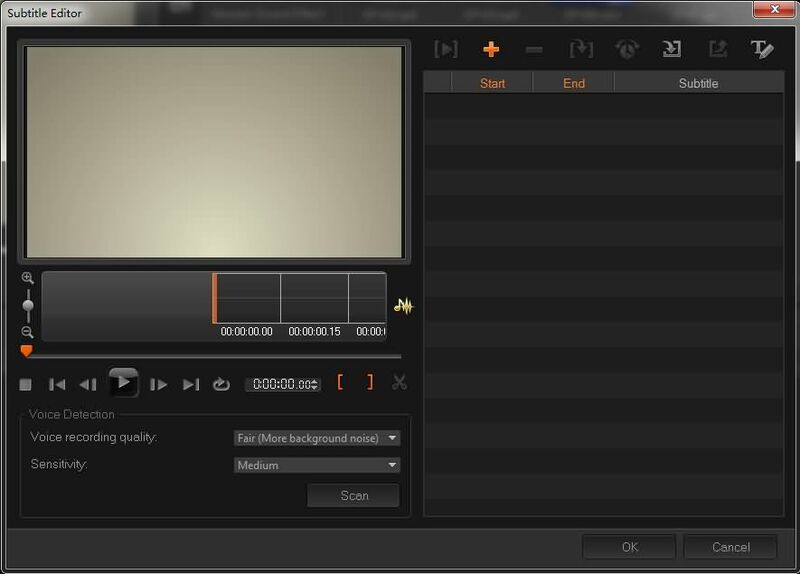 Once you've entered the text you want to feature in your video, the title file will appear in the timeline, and on the right side of the editor, you will be able to see the 'Edit' panel. If you would like to add more than just one title, make sure to check the 'Multiple titles' checkbox, otherwise, you can click on 'Single Title' option. The 'Edit' panel also enables you to select a font, adjust color or choose the text alignment among many other options. If you like the title you created and you want to use it again in a different project, you can save it as a preset by dragging it from the timeline to the Library. 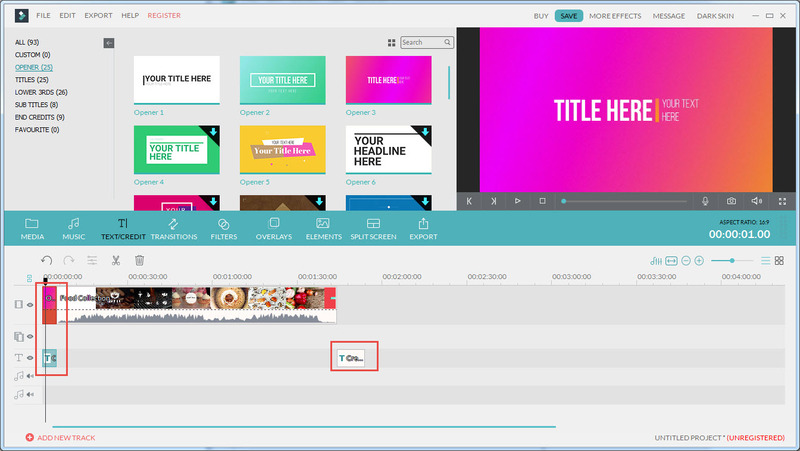 Once you have created the titles you can proceed to create the Subtitles using the Corel VideoStudio's 'Subtitle Editor'. You can either add the subtitles manually or automatically, depending on the level of accuracy you require in your video. To add subtitles automatically select the 'Voice Detection' feature and start the scan of the video. The software will then scan the video in order to locate the parts of the video that contain higher audio levels. Once the scan is completed, the subtitle file will appear in the 'Subtitle list' and you can proceed to insert changes in the text you want and click OK to add the titles to the 'Subtitle Track' on the timeline. However, this feature is not best suited for videos that contain unrecognizable dialogues or indistinct voices and if you are working on such a video it is better if you add the subtitles manually. In order to commence the process place the playhead to the frame in the video where you would like the subtitles to start and click 'Mark in' and 'Mark out' to set the duration of the subtitle. Once you've adjusted the duration of the subtitle, it will appear in the 'Subtitle list' and you can start adding the text. Alternatively, you can click on the 'Add a new Subtitle' button and the software will add a subtitle at the location at which the playhead is positioned. 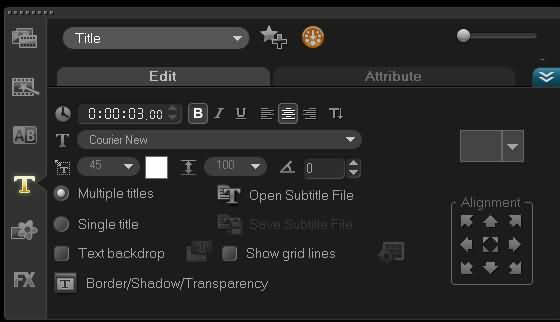 If you already have a preexisting subtitle file you can import it to your project by clicking on the 'Import subtitle file' option. Select the files you want to import and click 'Open', but keep in mind that all previously added subtitles either manually or automatically will be replaced by the files you import. If you are using the subtitle files created with an another program make sure that the file is saved in a format supported by Corel VideoStudio X10. No one could blame you if you think that process of adding titles and subtitles in Corel VideoStudio X10 is a needlessly complex. Filmora video editing software is a perfect solution for PC and Mac users that supports a large number of video formats such as MP4, VOB, MOV and it enables it users to add text to images in a simple way. If you'd like to add titles or subtitles to your project in Filmora all you need to do is go to the 'Text effects' library, select the effect you like and drag it to the timeline. As an alternative, you can click on the 'Text/Credits' option, select the effect you like from the 'Opener' panel and drag and drop it to to the timeline. If you would like to have access to even more title and subtitle options you can purchase the 'Title Expansion Set' for just $19.99 and gain access to incredibly creative title presets that will increase the visual appeal your videos even more.